It does not matter if you wear glasses or contact lenses - you will still want to look your best while on holiday or during the summer months. 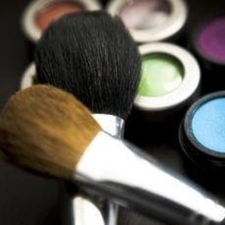 Hot weather can be a difficult time for makeup, but help is available and the summer trends can be worn by anybody. According to handbag.com, eyes this summer need to be "vivid". Writer Becky Taylor suggests the new Carnival range from Boots 17, which she says is "bright and beautiful" enough to fit the season"s style. She suggests products such as the Jewel Liquid Eyeliner in Emerald Coast or the Costa Rica eyeshadow trio. Recently, Hello magazine also reported that bright and bold is the way to go for summer eyes and added that this can be achieved with a "minimum of effort". Simply adding some bright and metallic hues to your eyelids will do the job and the magazine even suggested limiting it to the lower lids for an original look. But shyer people who want to nod to the trend without making it too bold were recommended to try eyeliner in a more subdued version of these sorts of shades. Revlon Matte Luxurious Colour Kohl Eyeliner in Navy or Very Violet was a suggestion. If you"ve been partying too much on beaches, your eyes may suffer the next day, but help is still at hand. In an article for Allure magazine that appeared on wsaw.com, Sarah Van Boven reminded women of the old trick of placing teabags on eyes, as this can cut down on inflammation (from the tannin) and help blood vessels to constrict (caffeine). She was also told by New York University Medical School dermatology assistant professor Anne Chapas that cucumber slices or frozen peas will also work. "It"s really the cold that shrinks the capillaries and stimulates lymphatic drainage," Chapas explained. Makeup artist Chrisanne Davis gave advice on how to make up eyes once the puffiness has been reduced. Concealer will help to hide dark shadows and should be a little lighter than your skin tone. But keep it to just one shade lighter. Eyelashes also need to be curled, with the curler held as near as possible to the lash line. Recently, the Mirror gave some tips to darker skinned women on holiday makeup. While paler colours tend not to have the desired effect on these skin tones, makeup artist Shani Robertston said that metallic hues work very well. She explained that a metallic colour "reflects the natural skin tone and really sets it off." Plum, olive and blue are other good options for black skin. Ms Robertson also reminded black women that they still need to use sunscreen on their skin. If you wear contact lenses, you can still wear makeup but you should take a little extra care in selecting and applying your cosmetics. According to essortment.com, it is better to insert contact lenses after applying makeup to help avoid any small bits falling into the eyes. But the website notes that if you are very short sighted, it may be necessary to put the contact lenses in first. Mascaras should be waterproof and labelled as hypo-allergenic. The website notes that some products may use fibres and silicone to enhance the appearance of the eyelashes. These can be very uncomfortable if they fall into the eye and so such cosmetics should be avoided by wearers of contact lenses. Even hair products can affect eyes when someone is wearing contact lenses. If you wear your hair over or near your eyes, do not apply spray or wax. Close your eyes before spraying anything on your hair and then walk out of the mist before opening them again.